The black, blasted landscape of Wuhai City sometimes looks more like the moon than Inner Mongolia. But this scene is becoming all too common across much of Northern China. 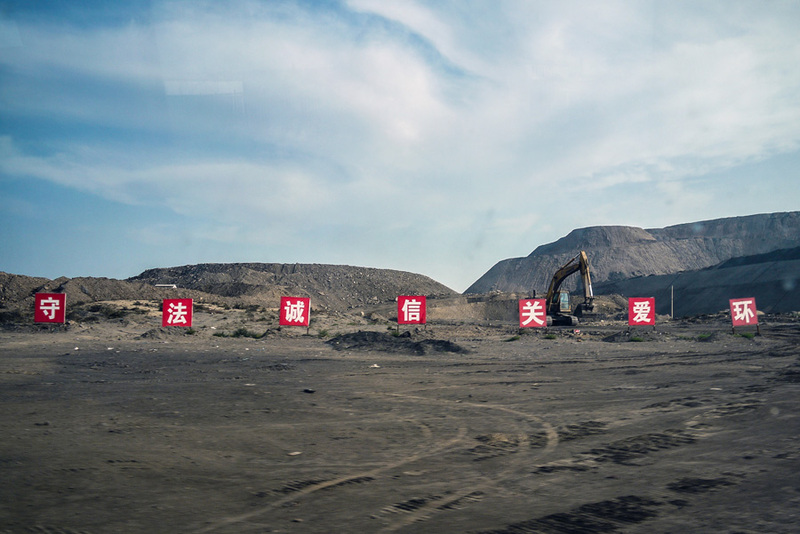 China’s massive coal industry is not only polluting the air and water, but also fundamentally altering the surrounding landscape and communities. By 2020, coal consumption in China is projected to increase by 30 percent, and already, 20 percent of water withdrawn in the country goes to coal mining, processing, and cooling of coal-fired power plants. The water intensity of the coal industry is a significant quandary for a country that is already facing a water scarcity crisis (water availability per capita is one-quarter the global average). The situation is exacerbated by the geographic mismatch between China’s coal and water reserves. Like Wuhai, most of China’s coal bases are located in the water-stressed northwest region, but most of the water is in the south. For instance, Inner Mongolia holds 26 percent of China’s coal reserves but only 1.6 percent of its water. How will the government deal with this water-energy choke point, as it seeks to feed the growing appetite of the world’s second-largest economy? Last week, the Wilson Center’s China Environment Forum in partnership with Greenovation Hub, a Chinese environmental NGO, brought together five American and four Chinese experts for the first China Water-Energy Team to help answer these and other questions about China’s water-energy nexus. After meeting with policymakers, business leaders, NGO professionals, and students in Beijing, we traveled to two coal bases – Wuhai City and Yinchuan City, Ningxia Province – to see the Soviet-style complexes in action. In recent years, many small- and medium-sized coal power plants have been subsumed by large state-owned enterprises such as the Shenhua Group. Mining, processing, and industry all within close proximity on a grand scale. 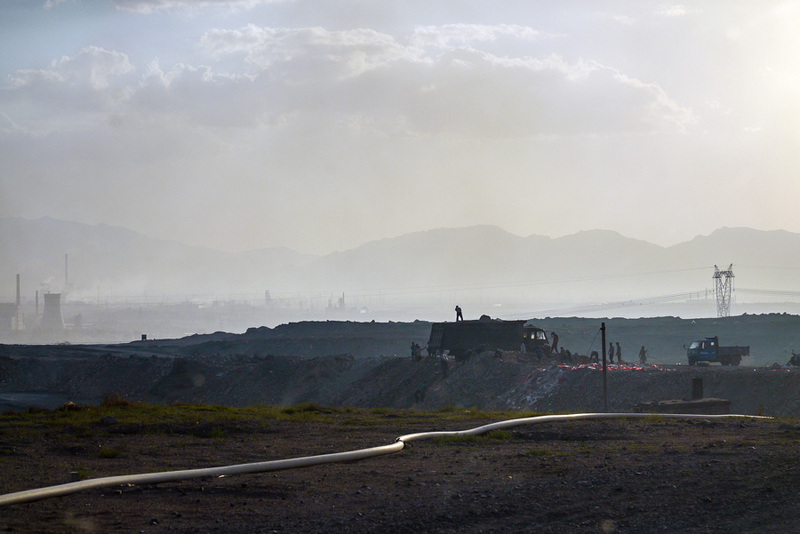 Condensed within the cities are open pit mines, coal-fired power plants, and coal-to-chemical plants. In 2012, Wuhai City had a population of 548,000 and produced 38 million tons of coal, equivalent to one percent of China’s total production. Coal mining, coal-fired power plants, and coal-to-chemical processes are not only water-intensive, but also heavily polluting. Jia Shaofeng of the Chinese Academy of Sciences told us that “widespread water pollution in China is a real crisis.” According to Jia, a whopping two-thirds of China’s surface water and half of the country’s groundwater are polluted. A recent Greenpeace study found that five coal power bases located along the Yellow River discharge more than 80 million tons of waste annually which ultimately flows into the river. China’s 12th Five-Year Plan (2011-2015) approved 16 more large-scale coal power bases. 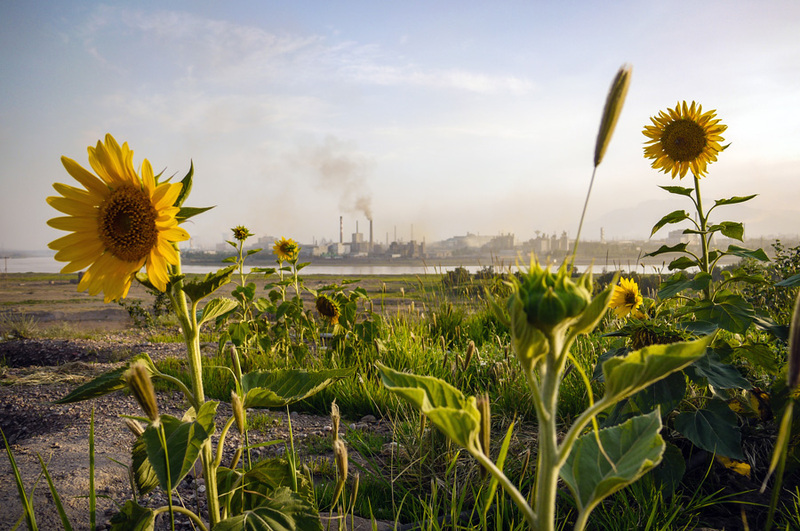 This short photo essay provides a snapshot into the pervasive environmental impact of these complexes, featuring Wuhai City and its surroundings. Coal supplies 70 percent of China’s electricity, but the largest consumers are cities on the coast. 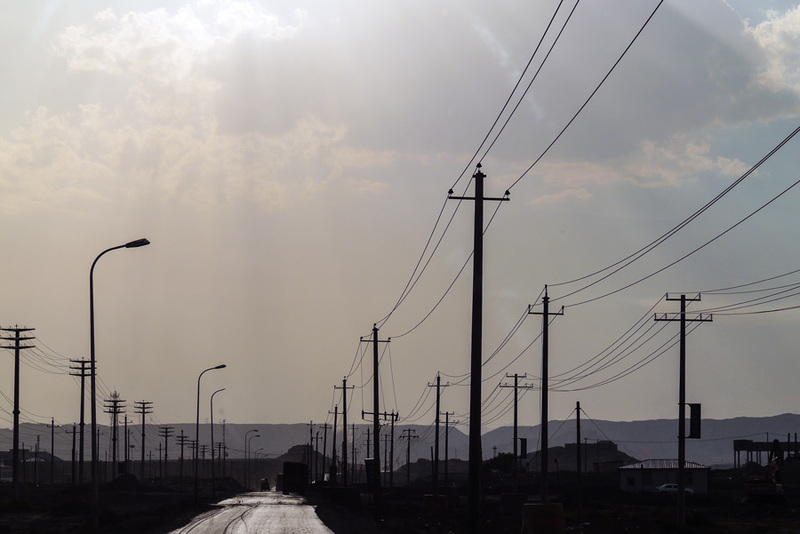 Much of the electricity produced in Wuhai City is exported outside the province via the West-East Electricity Transfer Project. The characters identify the smokestack as belonging to Tai He, a company which specializes in coking coal, a critical input for steel. 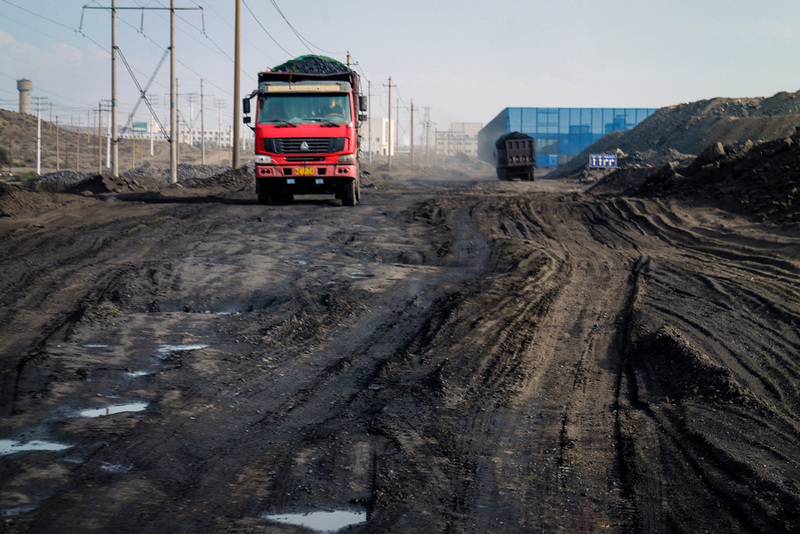 Due to the high density of coal industries, Wuhai is one of the most polluted cities in China. A truck packed with coal barrels down a muddy road heading to a nearby plant for processing. 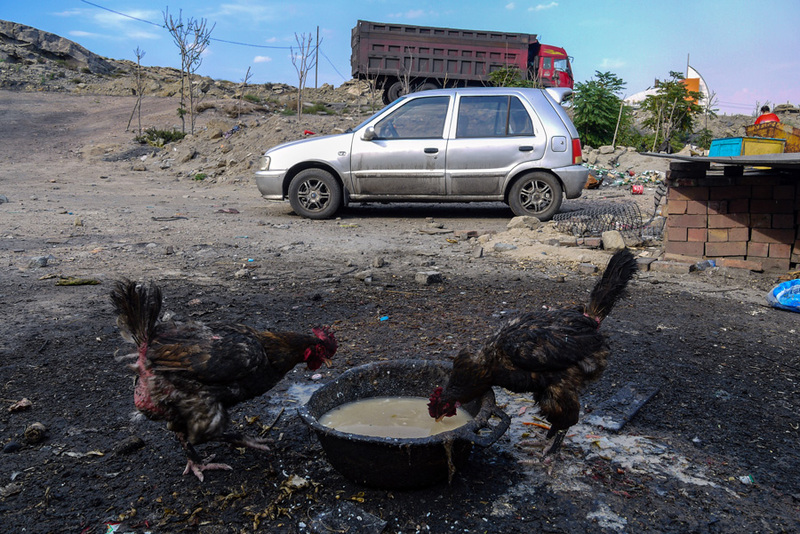 In Wuhai’s Xilaifeng Industrial Park, we came across two chickens turned black by surrounding coal and pollution. But they weren’t the only ones; we also bore witness to a line of quacking ducks whose white feathers were turned ebony. 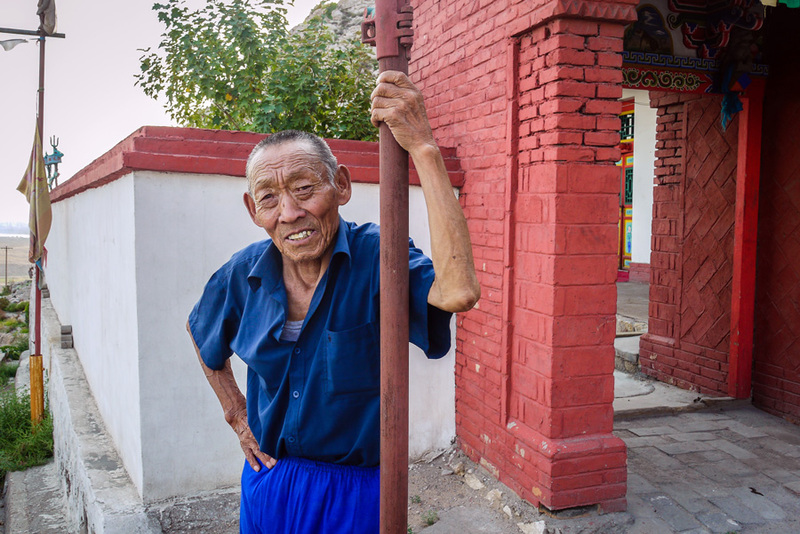 This man lives next to a Buddhist temple perched directly overlooking a coal industrial complex. By 2025, an estimated 350 million people – more than the entire U.S. population – will be added to China’s urban areas. Not only are massive amounts of resources required to build cities, but urbanites consume more energy to feed their appetite for modern luxuries such as air conditioners and iPhones. Chinese energy consumption has nearly tripled since 1990 and is expected to increase 58 percent between now and 2020. Unfortunately, the local people of Wuhai City will bear a significant proportion of the environmental and health consequences. 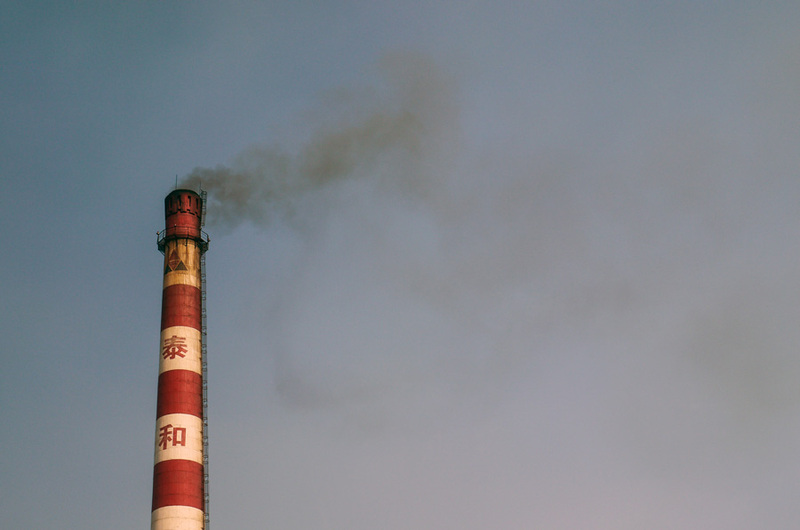 According to Sun Qingwei, a former Greenpeace China coal campaigner and now a researcher at the China New Energy Chamber of Commerce, one of the major problems in Wuhai is the lack of implementation of clean coal technologies. Although the technology to reduce harmful emissions is available and often in-place, companies do not turn the necessary machinery on in order to cut costs. Correction: The percentage of coal produced by Wuhai City compared to the national total has been fixed. Sources: British Chamber of Commerce in China, Circle of Blue, Greenpeace, McKinsey and Company, U.S. Energy Information Agency, World Bank, Wuhai City Statistical Bureau. Photo Credit: Susan Shifflett/Wilson Center. China currently has 17 nuclear power plants in operation, 28 more currently under construction, and several about to start construction. China is expecting to increase their nuclear electricity production 4x by 2020, another 4x by 2030, and then 2x that by 2050 so we are looking at a 32x increase in nuclear electricity generation within 35 years or so. They are also going with what is called a “closed fuel cycle” meaning they will re-process and re-use their spent fuel and will not have the waste disposal problem we have. Dear Susan，there is a data error here: “In 2012, Wuhai City had a population of 548,000 and produced 38 million tons of coal, equivalent to almost 10 percent of China’s total production”, it’s 1 persent, not 10 percent. Please clarify what you mean by “clean coal technologies are available”. Originally “clean coal” meant the ability to remove sulfur. While controls for particulate matter, sulfur, and nitrogen are commonly employed in the US, controls for mercury and CO2 capture are rare. The term “clean coal” can be mis-used to imply that all emissions, including mercury and CO2, are being captured, even at plants that do not have the technology.